Indiana Blog – It is difficult to imagine what we would do without all of the amazing technology that facilitates all kinds of new businesses and business approaches. Fast internet speeds, a variety of portable devices and a bounty of cloud storage space are just a few of the reasons that businesses like yours are experiencing unprecedented success. At the same time, your clients are better able to find just what they need, when they want it and where they need it. With so much technology and multi-faceted success comes the responsibility to keep your business, your employees and your clients safe from hackers. According to Ponemon Institute, the average price tag of a data breach was $3.62 million in 2017, and hackers show no sign of slowing down. Adopt the following security tips that offer peace of mind and protection for your business, your employees, your clients and any other stakeholders while working together in the digital business landscape. If your business’s operating system (OS) and software programs do not automatically update, make sure you set up regular times to do so manually. By skipping updates, hackers may find it easier to access and invade your system through undetected vulnerabilities in your outdated programs. At the same time, clean out old software programs that are no longer necessary, such as Flash or Java. Performing OS updates, or allowing automatic updates, is crucial in case there are time-sensitive security updates. An identity theft protection plan can go a long way toward helping your clients and employees feel more secure. While they probably know that you do everything possible to secure your system and their data, the world of data breaches is well understood and frightening. By offering your team identity theft protection, you can show clients and employees that your security is a priority, from your end and theirs. Two-factor authentication, or 2FA, provides one more layer of authentication—in addition to a password—to grant access to your account, shares Inc. Options available include voice, fingerprint or the selection or generation of a code sent to your smartphone via SMS. Ensuring that your team performs 2FA practices, as well as recommending that your customers do so as well, can help prevent hackers from making a lucky guess on a password. The Payment Card Industry Data Security Standard (PCI DSS), created by the PCI Security Standards Council (SSC), is essential for businesses that accept, transmit, store or discard cardholder data, per the PCI Compliance Guide. By learning, adopting and complying with the requirements of PCI DSS, you stand a greater chance of staying on top of industry issues and avoiding them. Your customers and employees are too valuable to risk losing, so it is worth it to take a multidirectional approach to security. 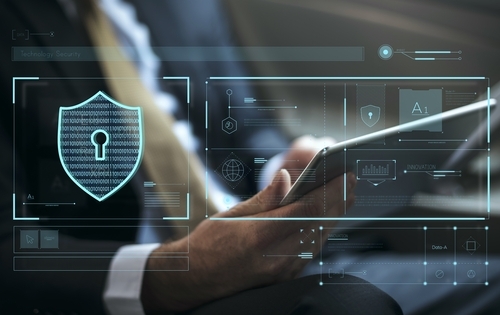 Everything from providing an identity theft protection plan for complying with the latest industry requirements can help you maintain peak levels of security for everyone involved, including your business.